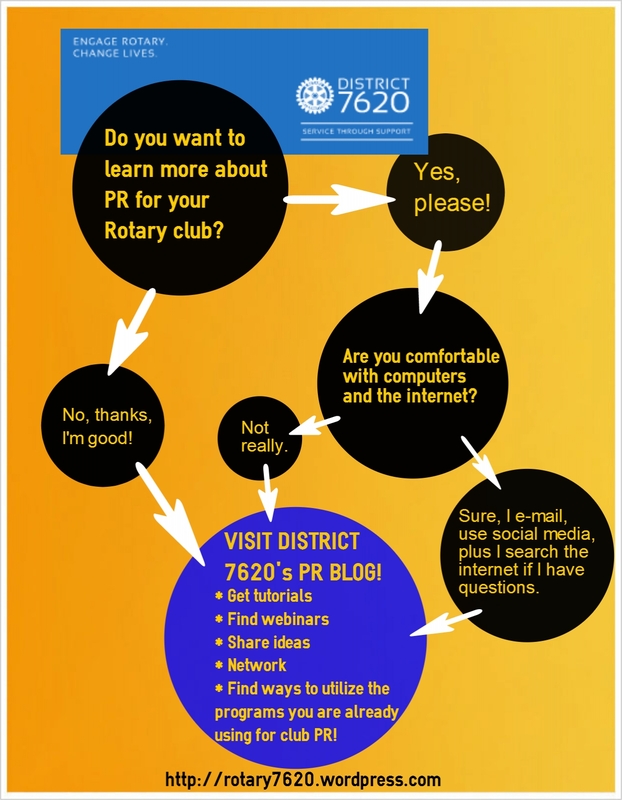 This site will be operating as the Public Relations site for Rotary District 7620. It will focus on District events, PR how-tos, and share great ideas from around the District. Use this site for both your own PR development in your club and for news from us about the Rotary events. We’re here to drive SERVICE THROUGH SUPPORT in your clubs and District-wide–really beyond that, too: wherever you take us! Every Rotary district conference is a memorable event — not to be missed. My name is Michael R Wilcox I am a Rotarian in D 7170 upstate New York, I also run the Discover America Bus Trip for Rotary Exchnage students each year. Last July when we where in D.C. one of opur students broke his leg and was hospitalized. With 96 students on two buses it is nessaccary for us to move on to the next schuduled stop on the trip, however with a student in the hospital the whole trip was in jeopardy. Rotarian Christopher Perlick D7620 saved the trip for us by driving up to D.C. everyday, meeting the students Mother who flew up from Argentina at the Airport and overseeing the students care and discharge. I have Chris’s e-mail address and phone number but no mailing address. What I am asking for is 1. Chris’s mailing address so I can send him a card AND a contact in your Distrcit who can help me make a donation to the Rotary Foundation in Chris’s name. I will need his membership number and his Rotary Clubs number. Thank you for setting it up. Thanks Bill. Yes, if we can get people interacting by commenting and sharing it would go a long way!